After dominating the Carolina League for a month and a half to begin 2016, the Red Sox have promoted outfielder Andrew Benintendi to Double-A Portland, as announced by the Salem Red Sox. 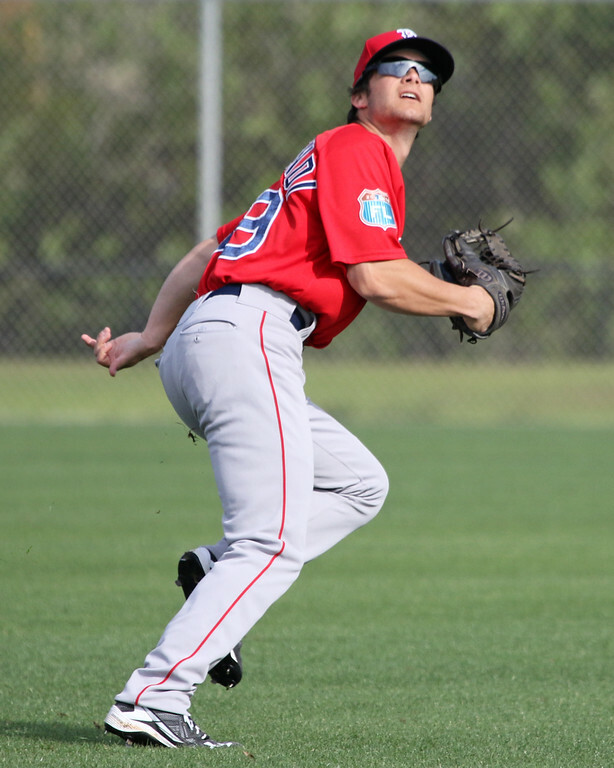 Benintendi, who is currently ranked as the number two prospect in the system by SoxProspects.com, has excelled during his brief stay in Salem, slashing .341/.413/.563 with 13 doubles, seven triples, and a home run through 34 games, including setting a Salem Red Sox record with a 23-game hitting streak from April 11 through May 6. The Red Sox made Benintendi the seventh-overall pick in the 2015 amateur draft and he has done nothing but impress since joining the organization. He hit a combined .313/.416/.556 with 11 home runs and 10 stolen bases in 54 games between Lowell and Greenville last season. At every stop in Benintendi’s professional career he has walked more often than he has struck out. Benintendi entered last season as a fairly unheralded draft-eligible sophomore at the University of Arkansas. However, he caught scouts’ attention with a huge season that saw him win every major collegiate player of the year award, including the Golden Spikes Award. The 21-year-old Benintendi has the potential for plus hit and power tools along with an advanced approach at the plate. He also displays good speed and should be able to stick in center field with an average arm. After seeing him last season in Lowell and this season in Salem, SoxProspects.com Director of Scouting Ian Cundall and Executive Editor Chris Hatfield discussed on a recent episode of the SoxProspects.com Podcast that Benintendi seemed unchallenged by the competition at each level. They and others have speculated that Benintendi could be ready for a major league call-up by the end of the season if there is a need in Boston later in the year. We also recommend checking out our previously published video of Benintendi taken during Spring Training.